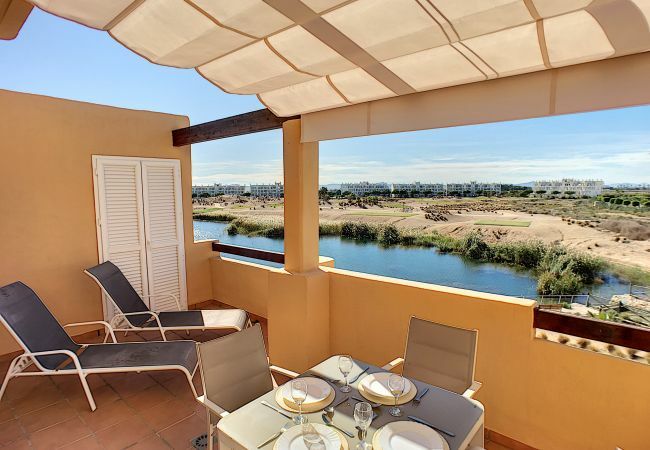 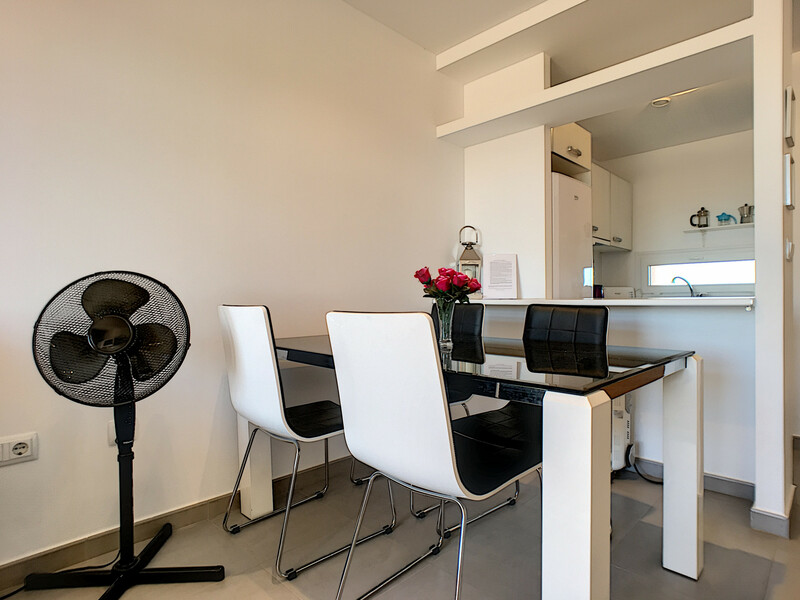 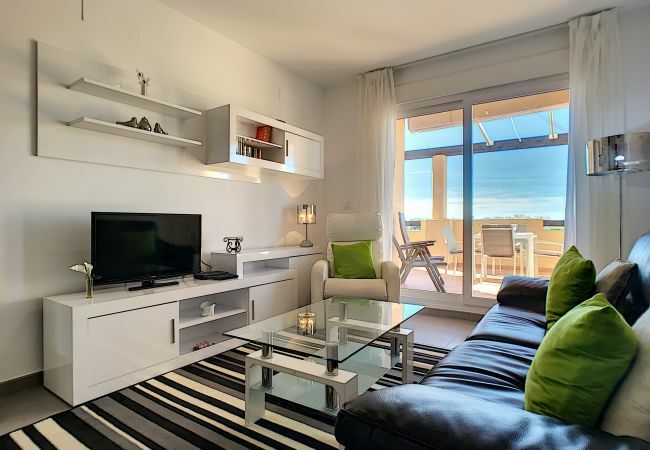 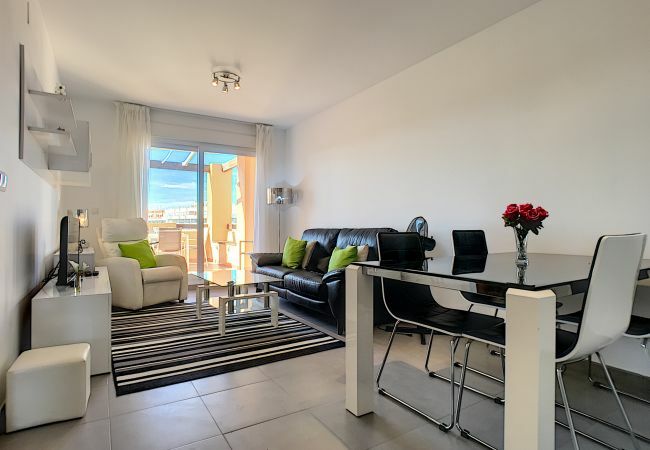 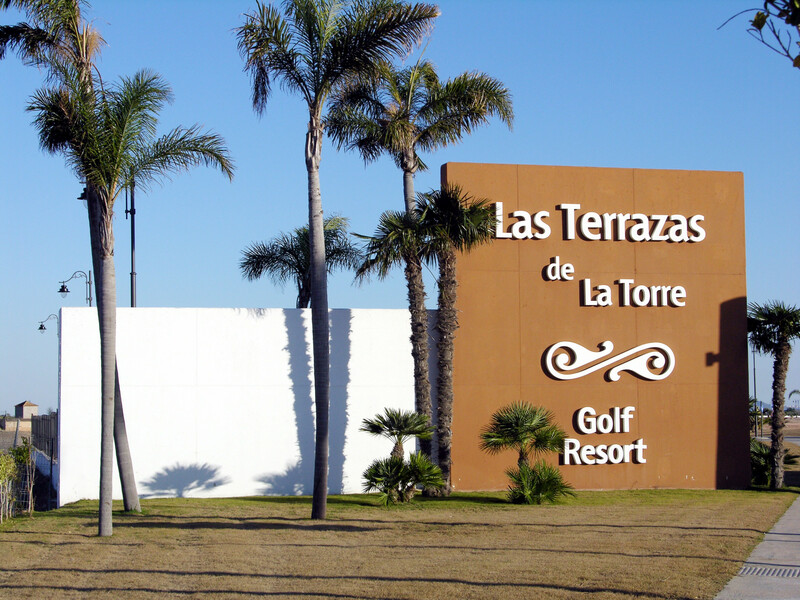 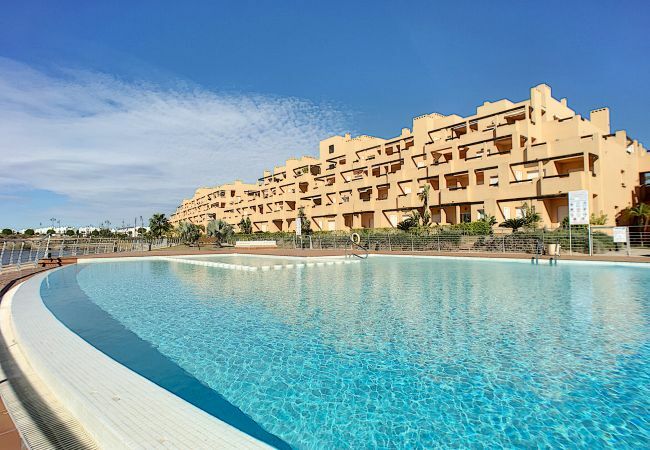 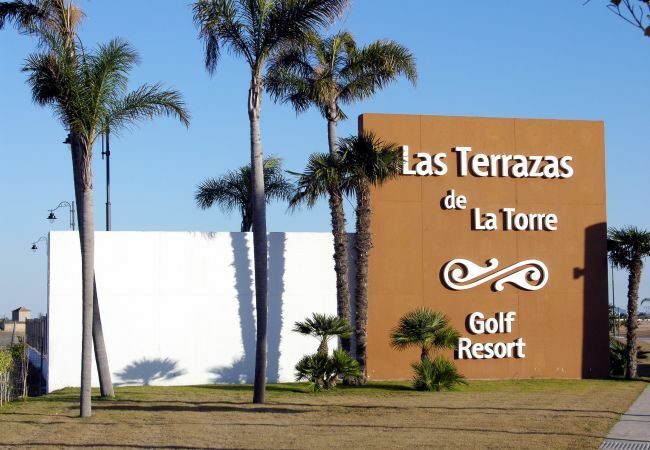 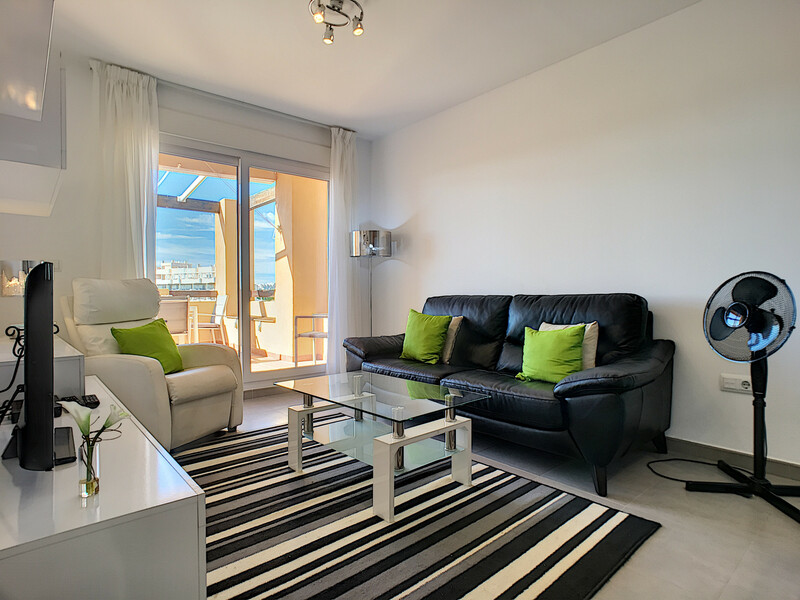 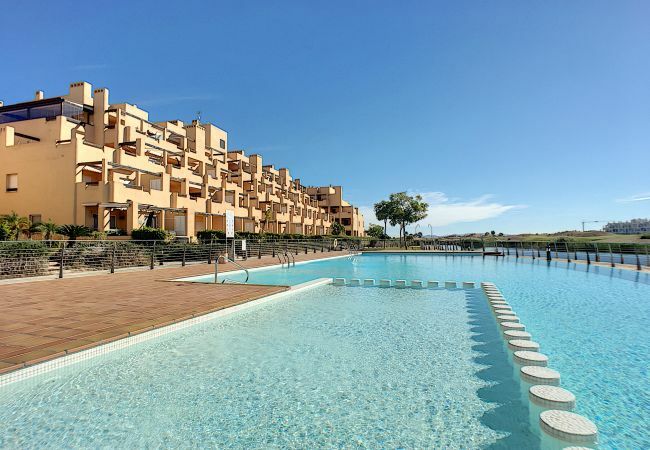 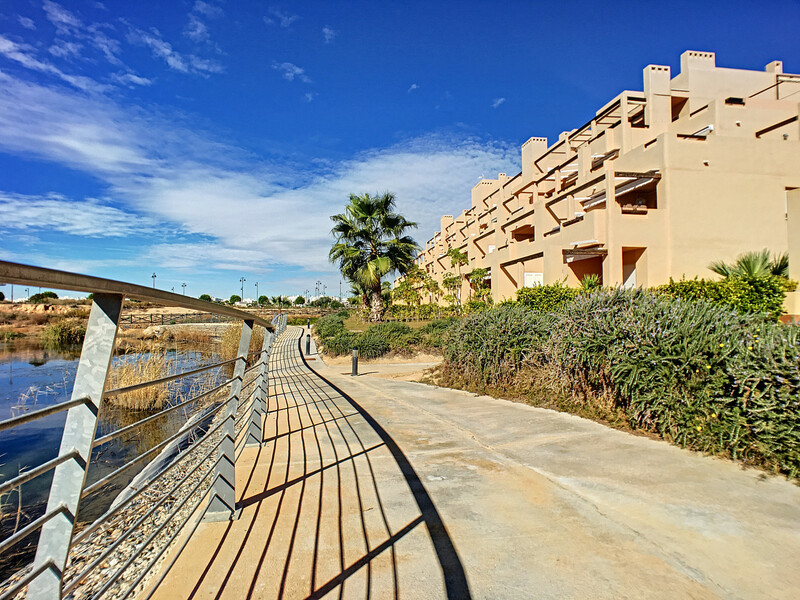 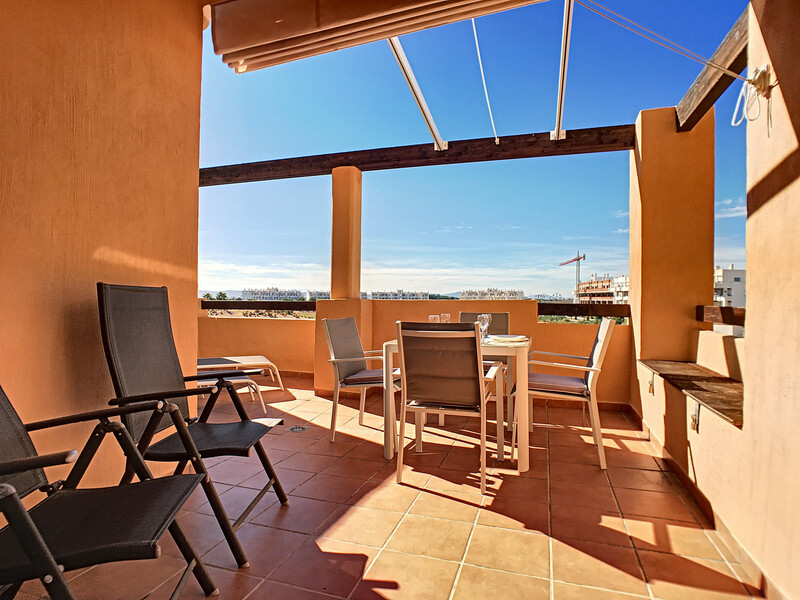 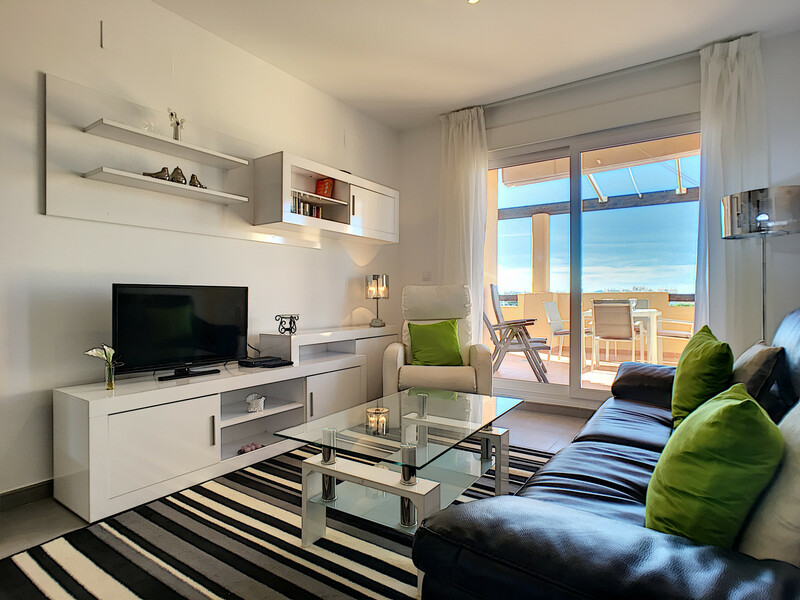 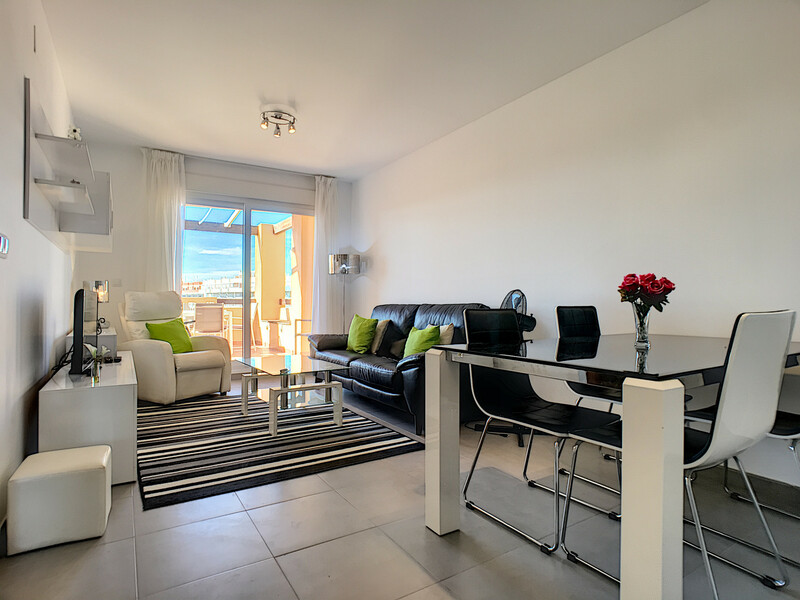 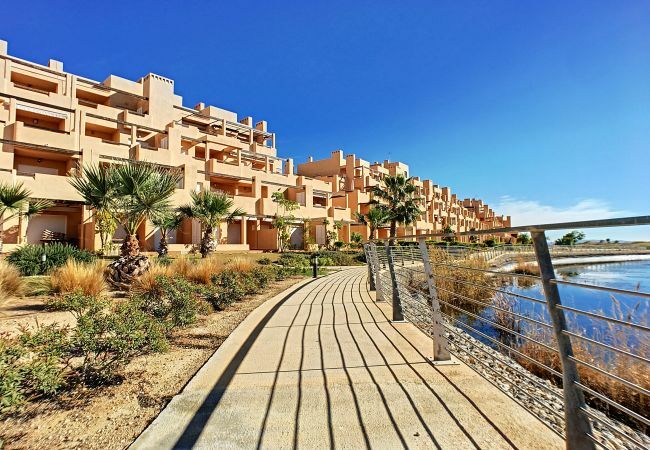 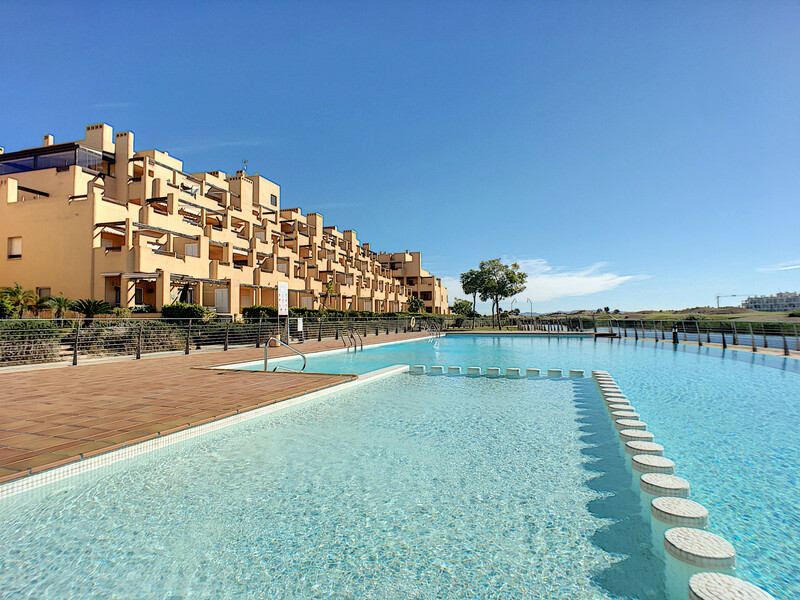 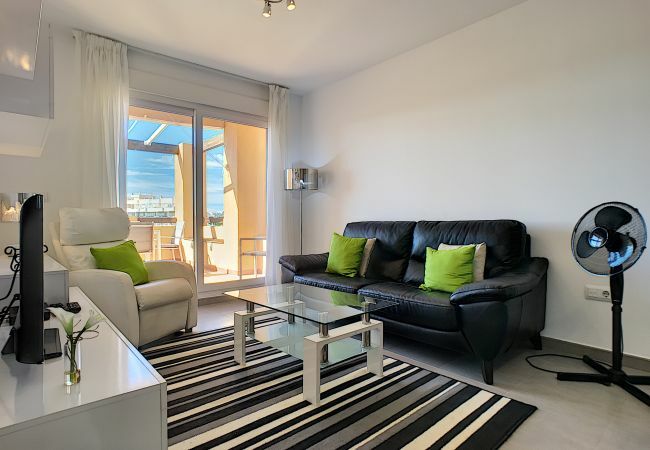 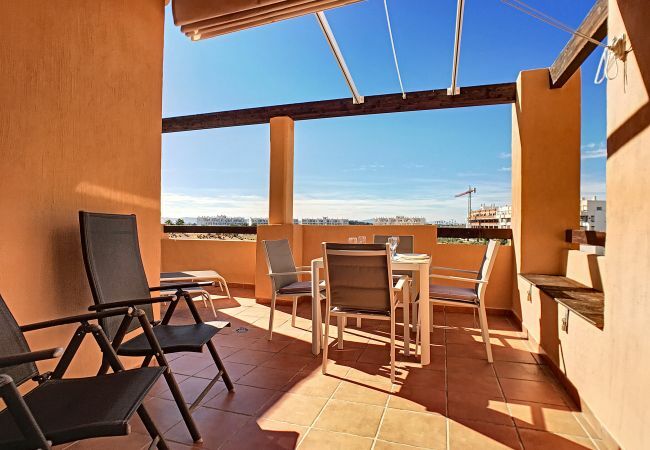 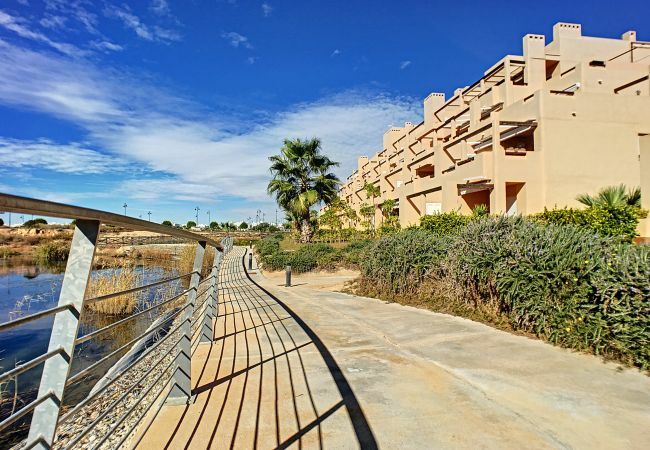 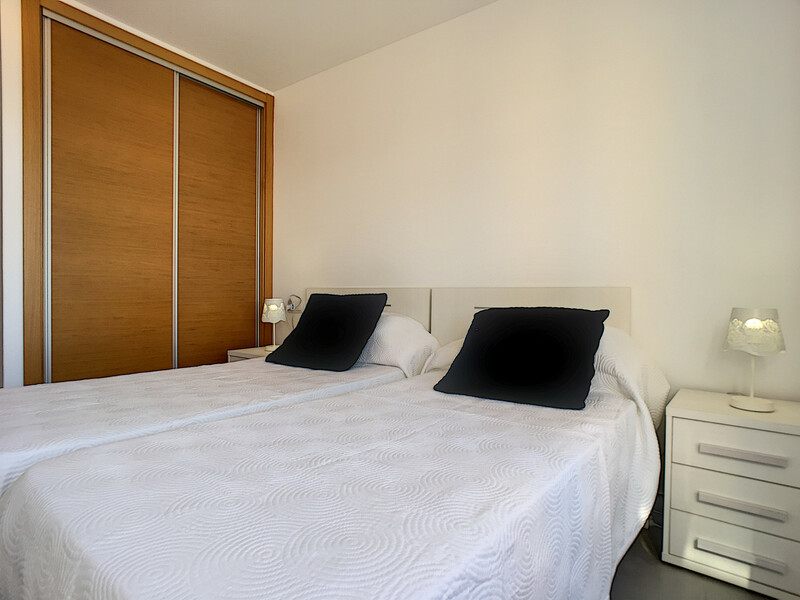 This modern second floor apartment is located on the Islas within Las Terrazas de la Torre golf resort, once part of the Polaris World developments. 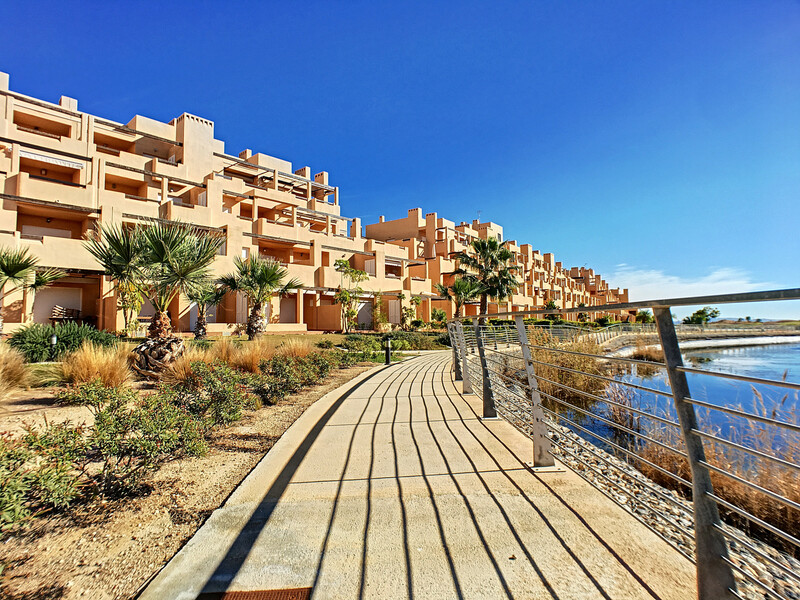 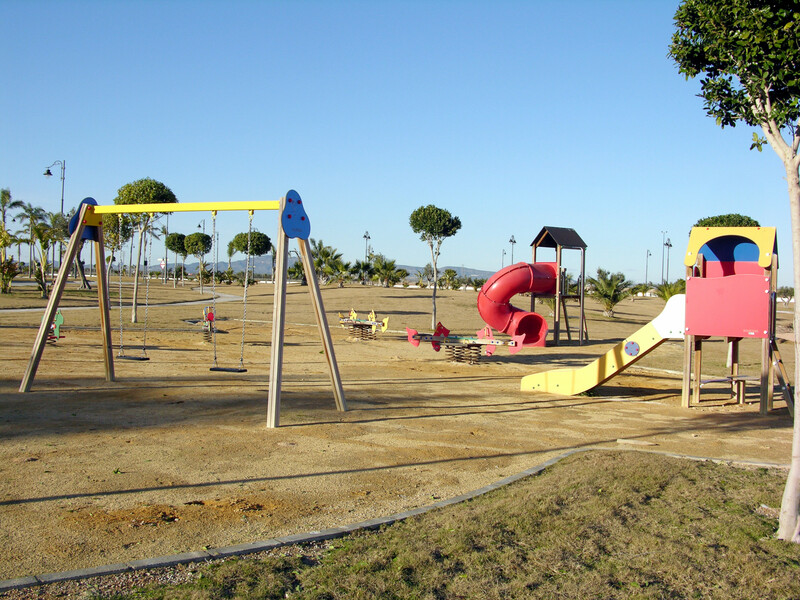 Just 15 minutes by car to the beach and 20 minutes to the city of Murcia. 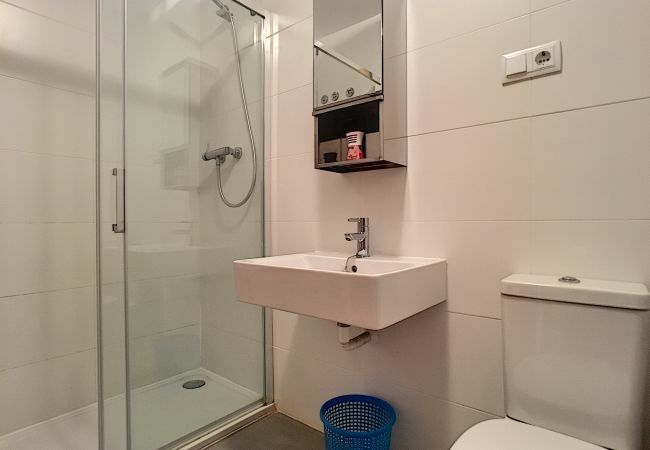 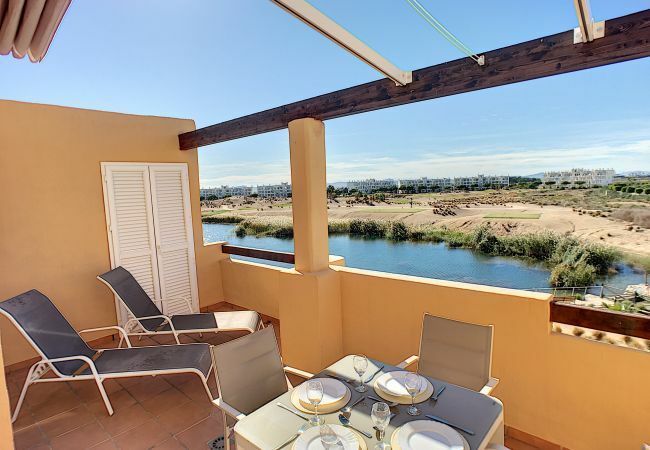 The property has 2 bedrooms with family bathroom and a balcony over looks the golf course. 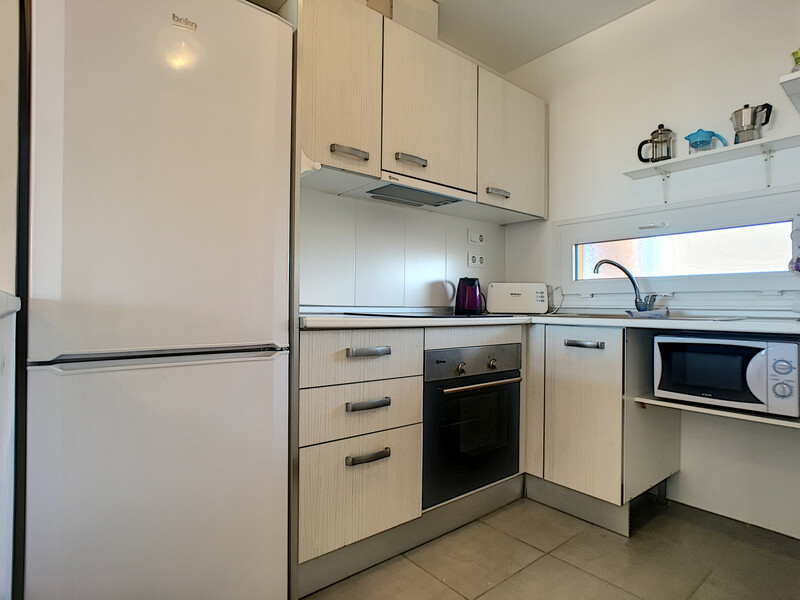 The apartment has a fully equipped kitchen with new appliances. 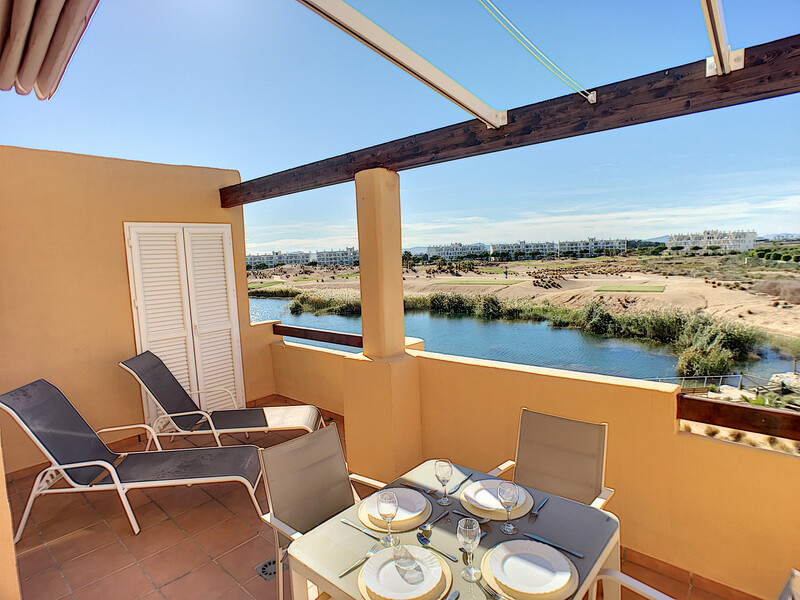 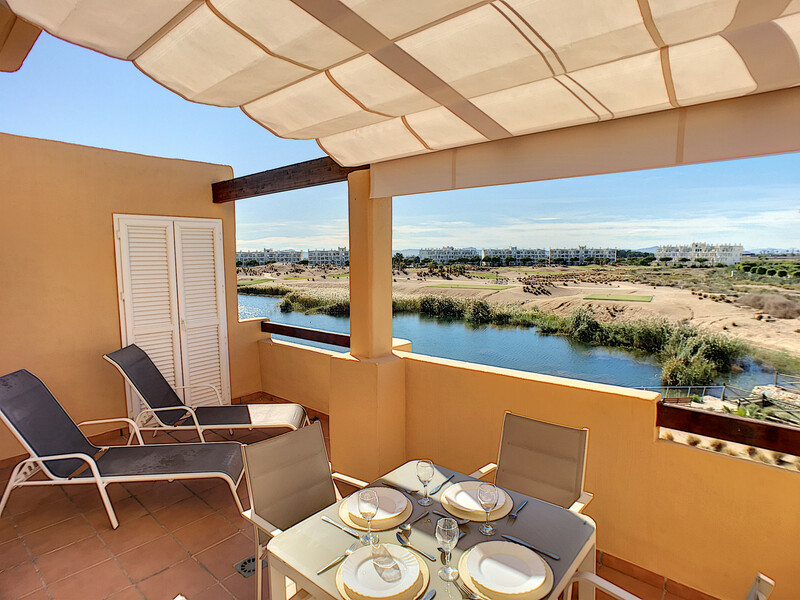 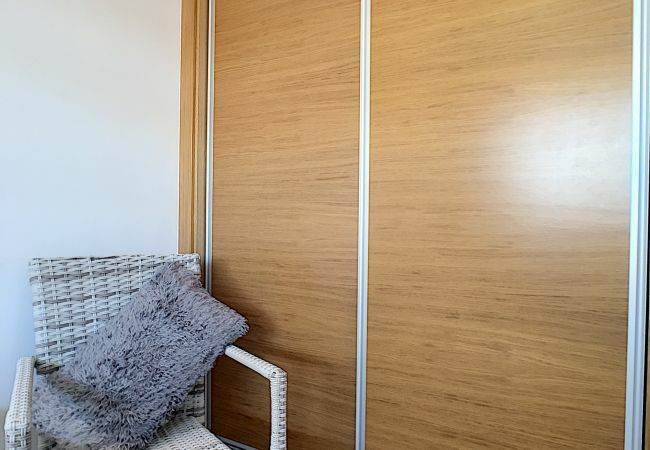 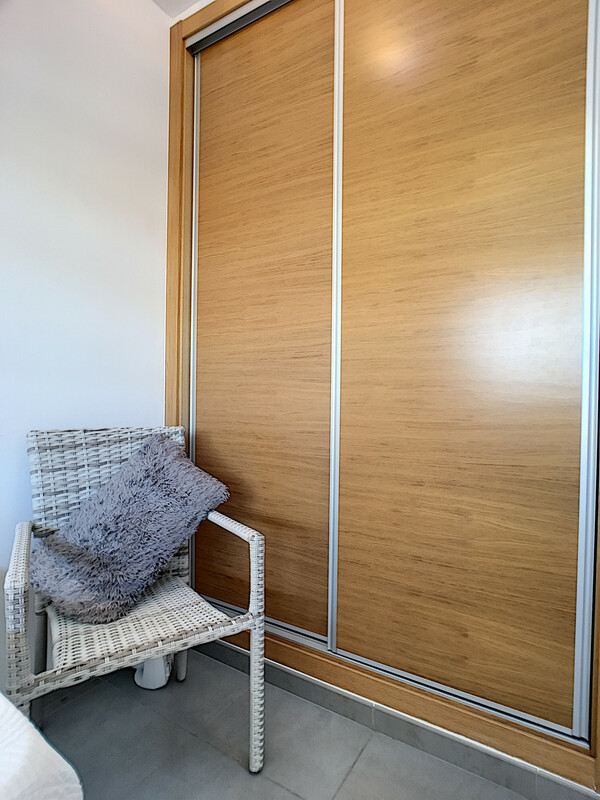 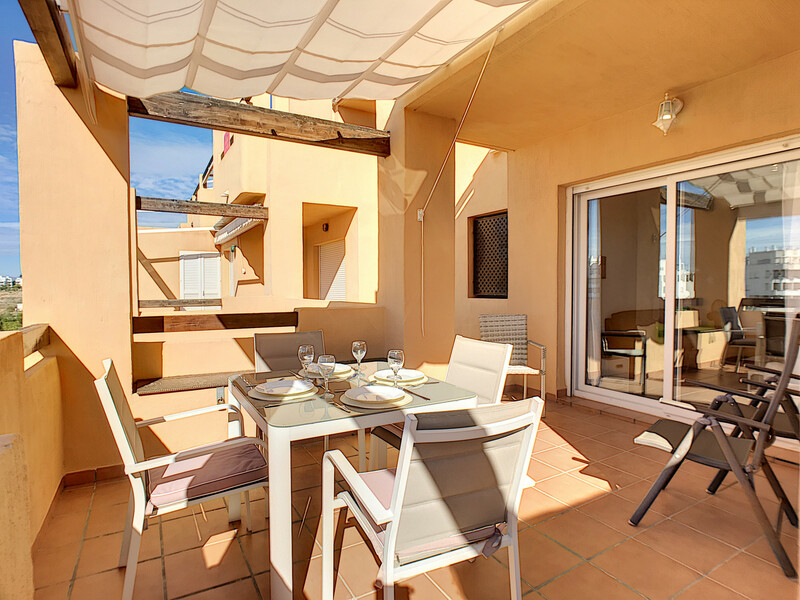 The balcony is a good size with 2 sunbeds, dining table and chairs and a retractable sun shade, here you can sunbathe or sit and watch out over the golf course. 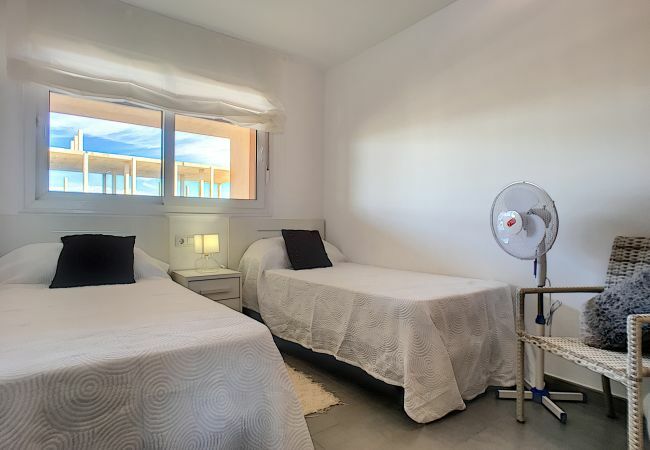 The resort has children's play areas, restaurant/bar and a supermarket all located close to the apartment, the complete area is gated with 24 hour security. 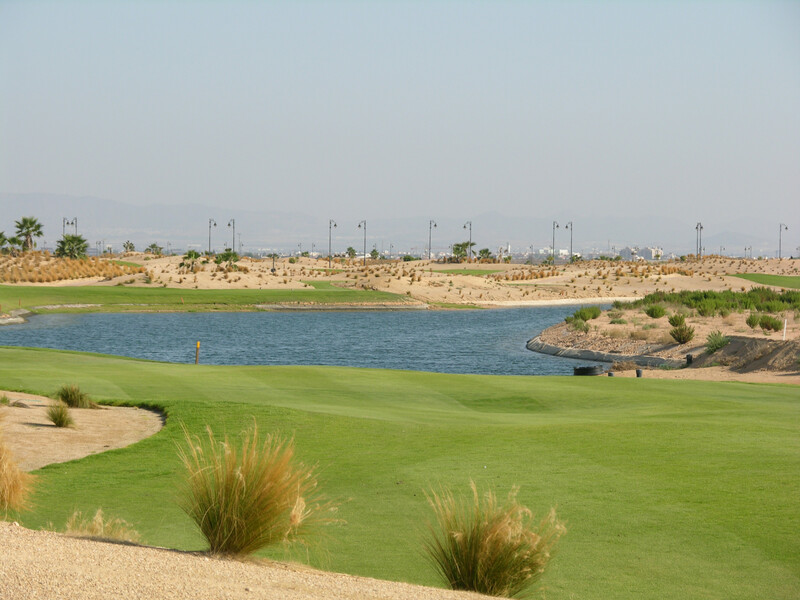 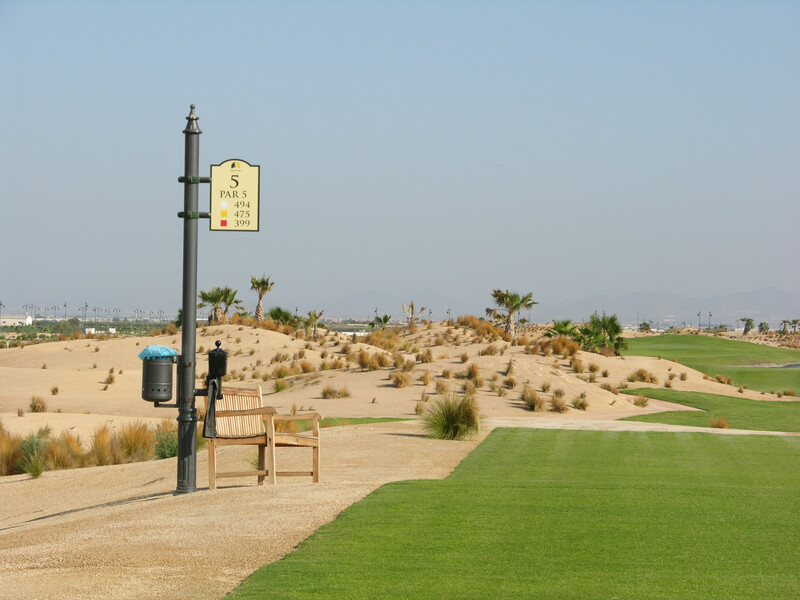 The Saurines on site golf course is a 18 hole, par 72 desert style course designed by Jack Nicklaus with an abundance of dunes and undulating fairways. 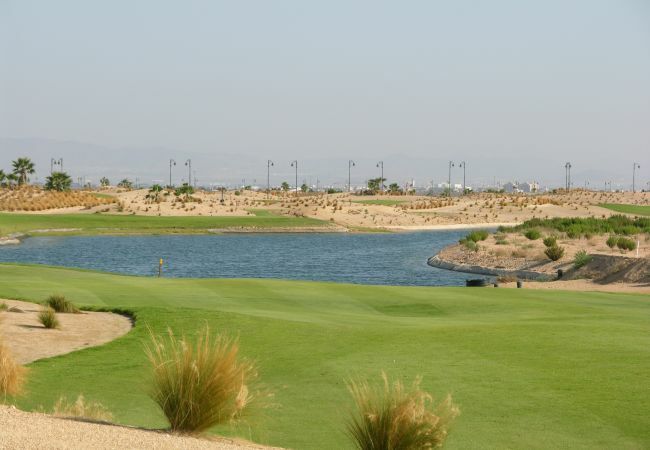 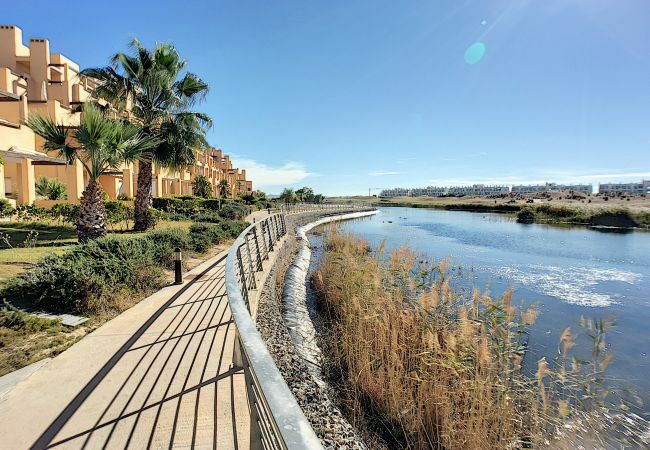 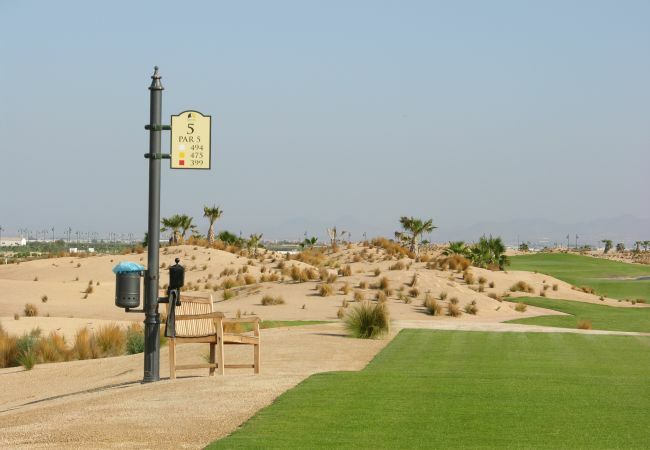 This is just one of 22 golf courses in the Murcia region attracting golf enthusiasts and professionals from around the world. 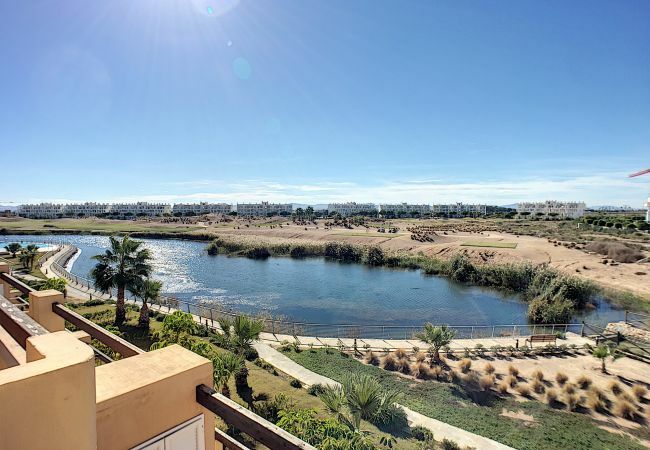 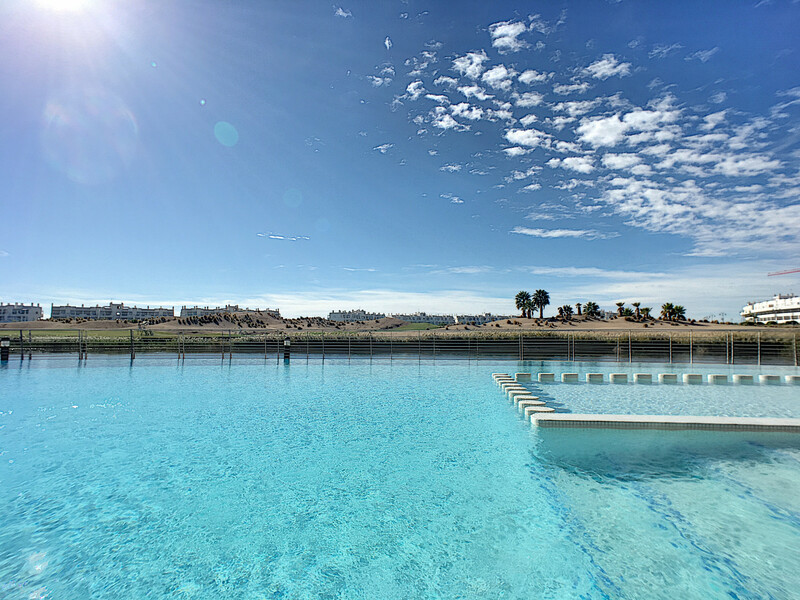 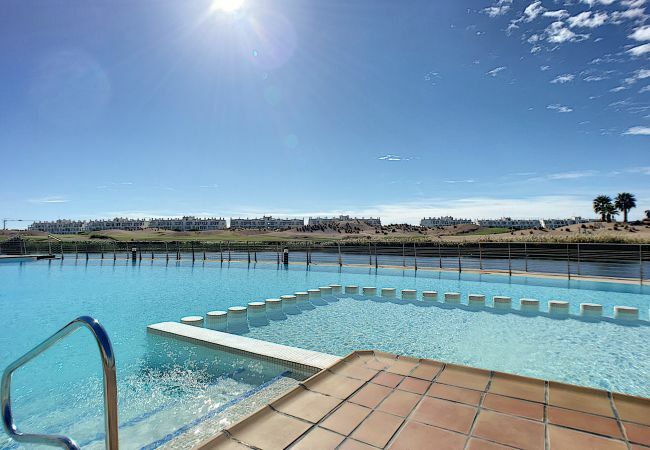 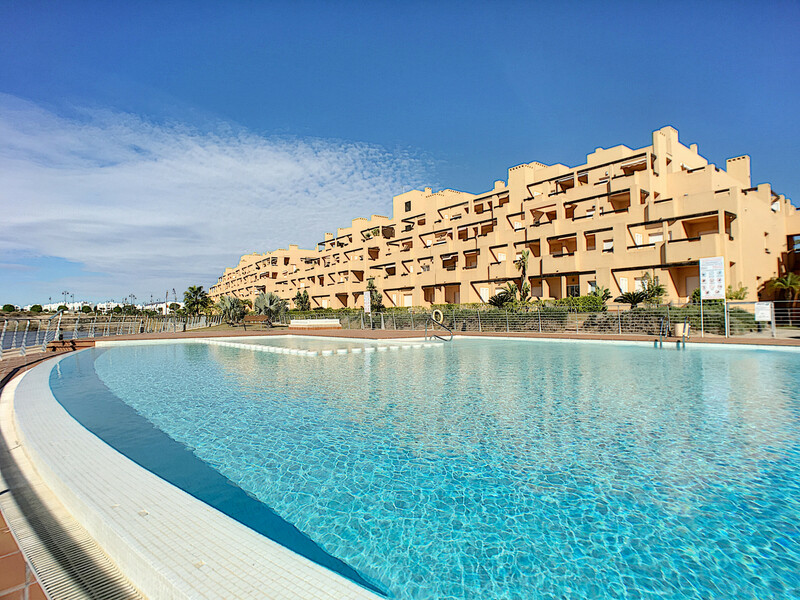 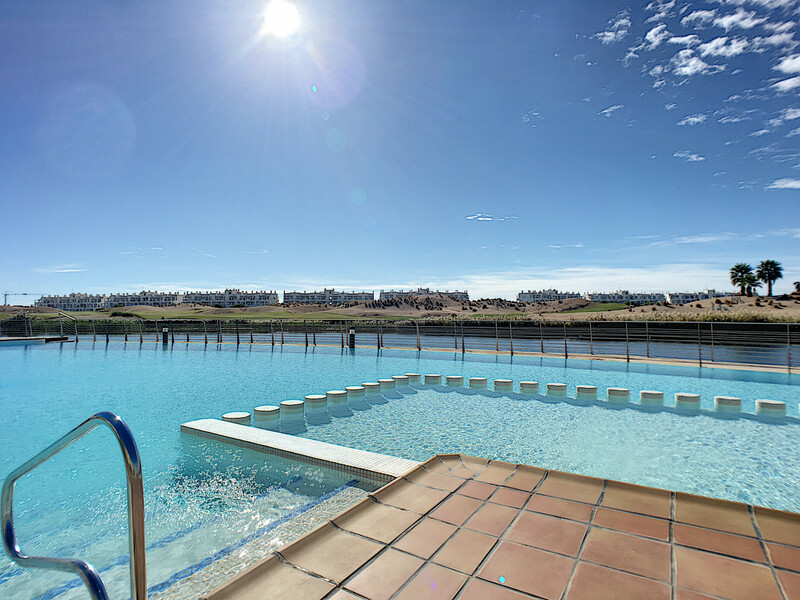 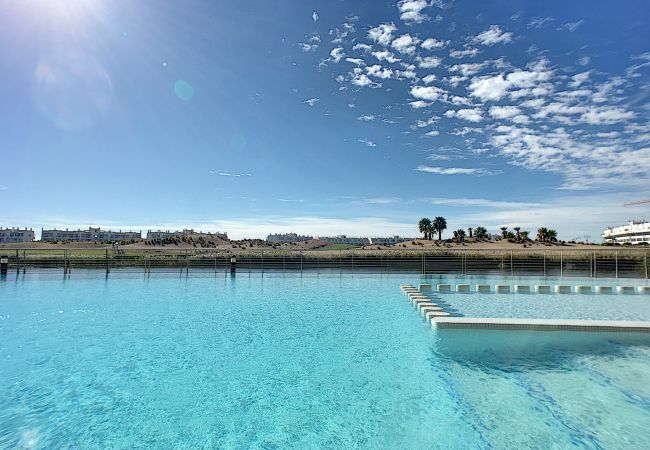 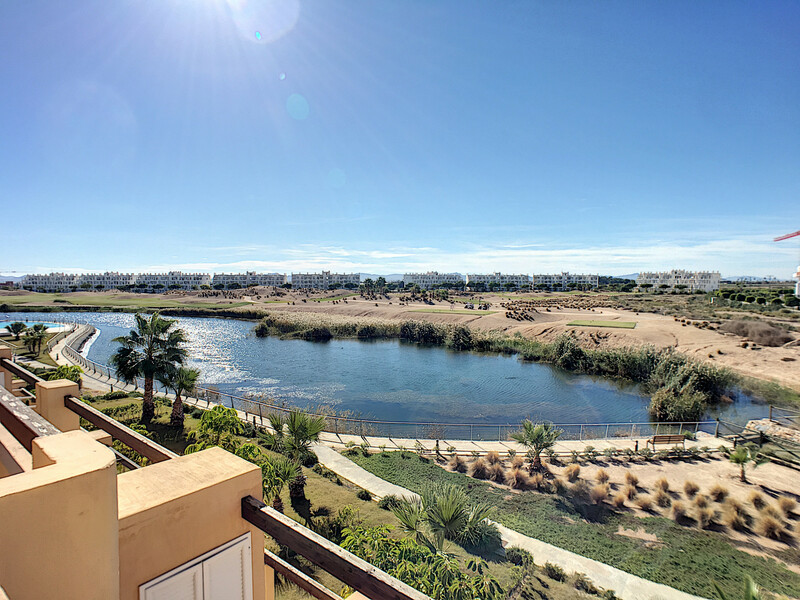 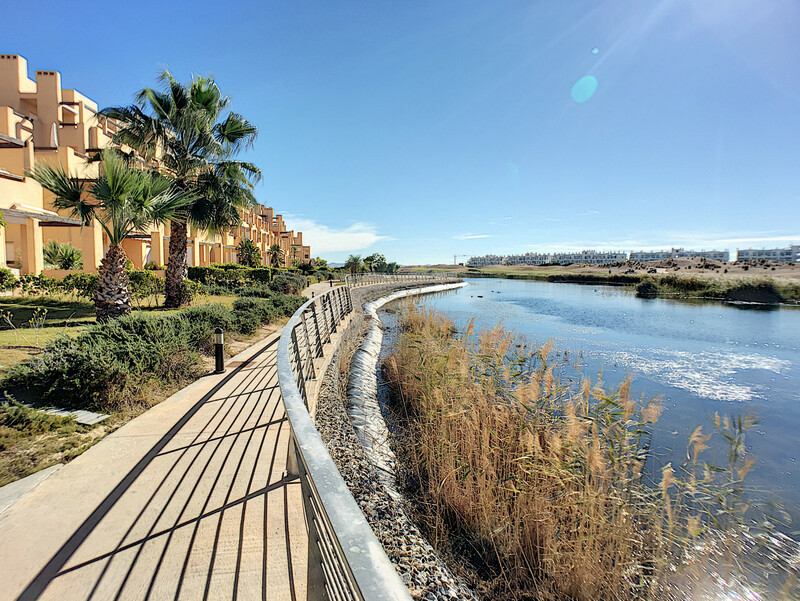 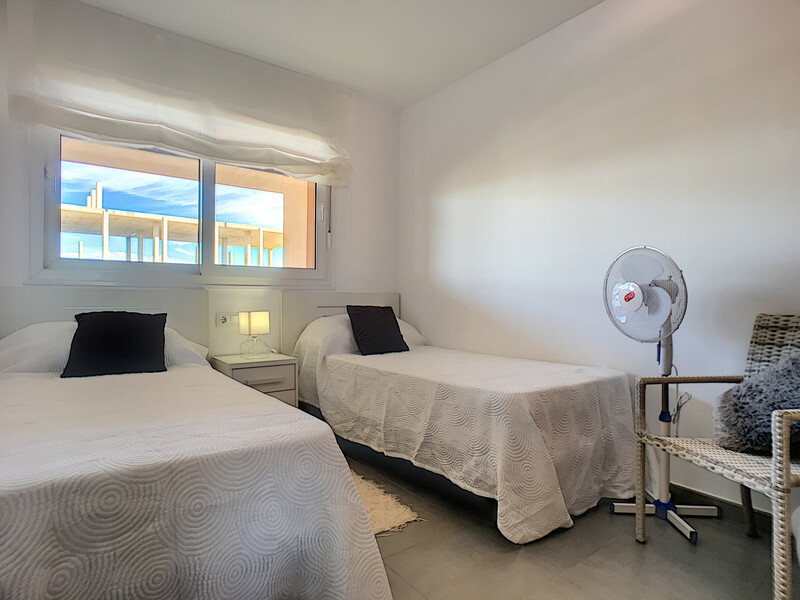 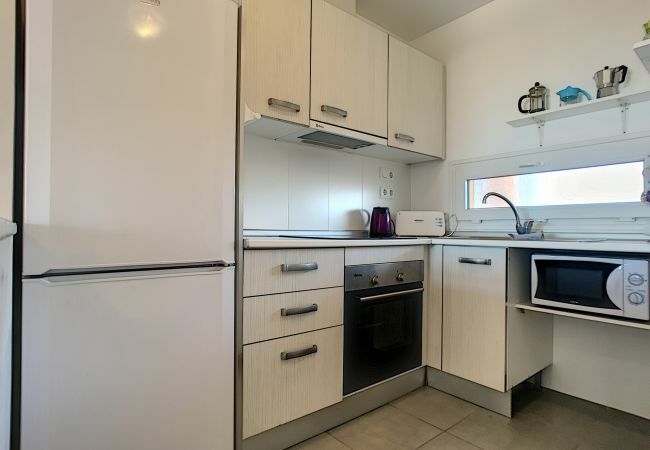 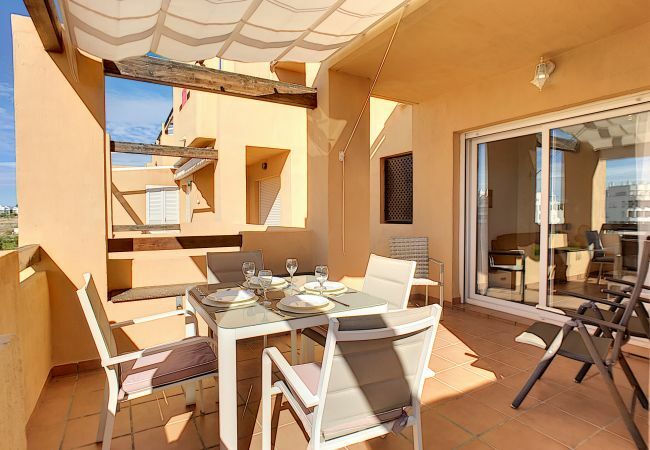 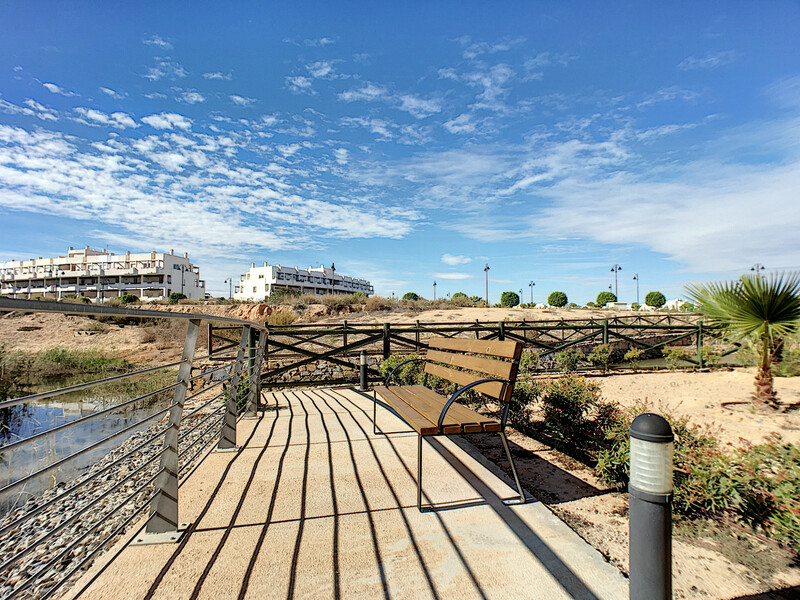 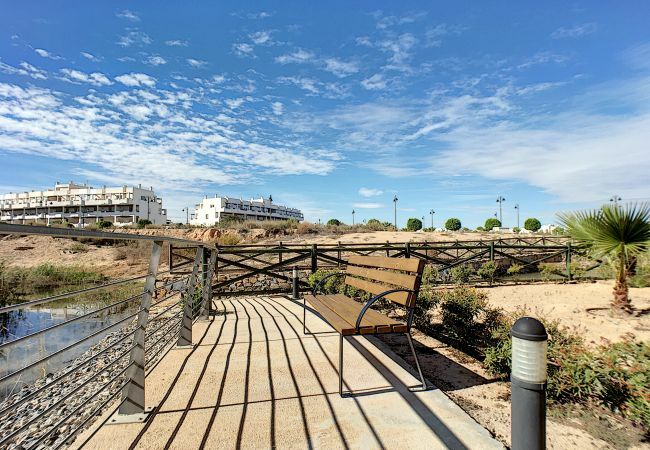 The property is located 300m from Saurines de la Torre golf course, 300m from Spar supermarket, 300m from the Club House , 4km from Roldan city, 5km from Balsicas city, 8km from Balsicas - Mar Menor train station, 17km from Los Alcazares sand beach, 18km from Corvera airport, 18km from San Javier airport, 19km from San Javier, 20km from Santiago de La Ribera sand beach, 84km from Alicante airport. 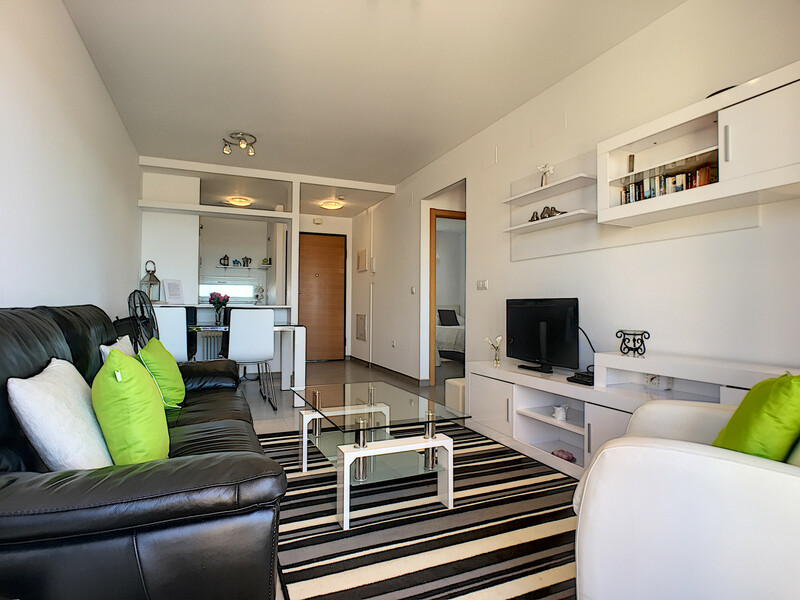 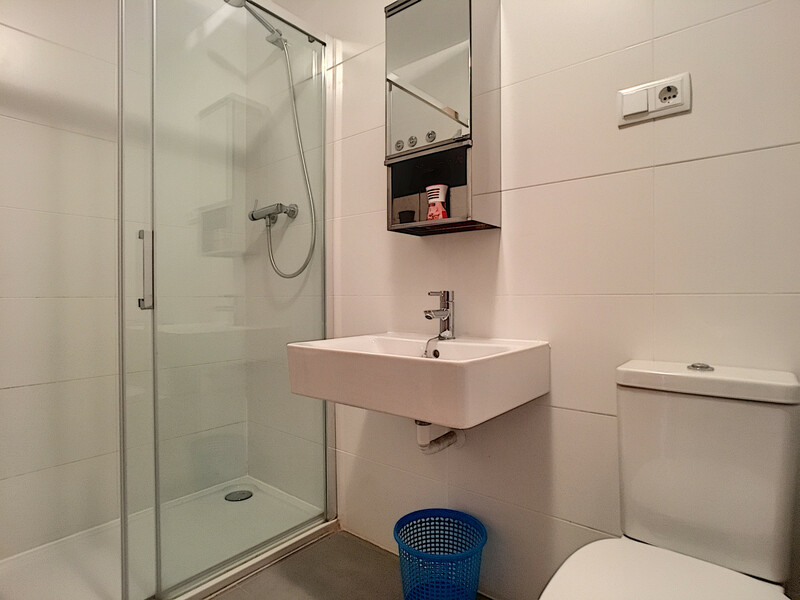 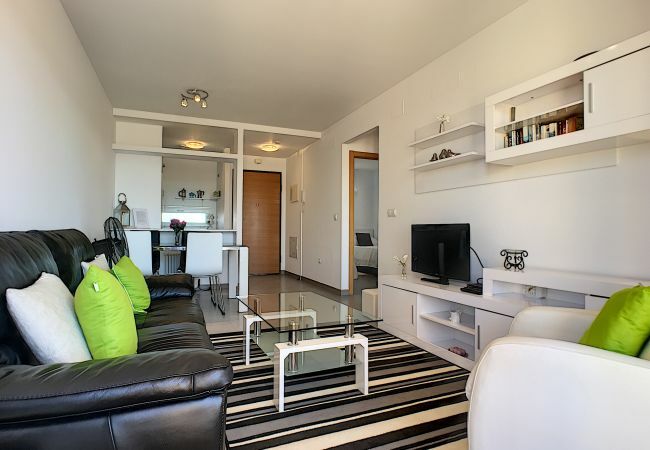 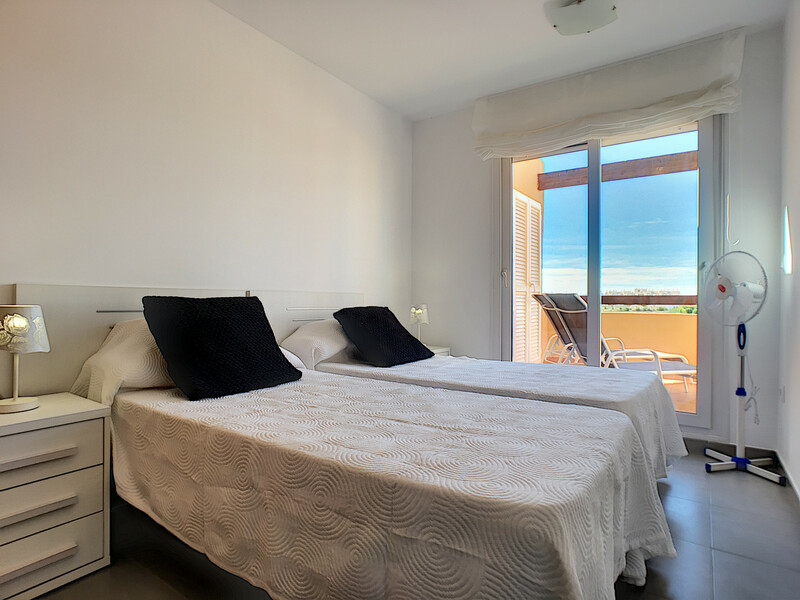 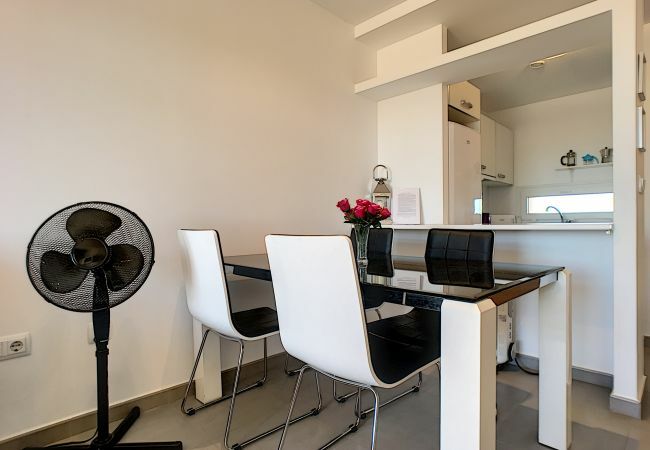 - 1 TV, TV Satellite (Languages: Spanish, English, German, Dutch, French, Russian, Swedish, Norwegian), 2nd floor, lift, garden furniture, barbecue, iron, internet (Wi-Fi), hair dryer, balcony, 68 m² property, electric heating, communal+children's swimming pool, Open-air parking in the same building, 3 fans.